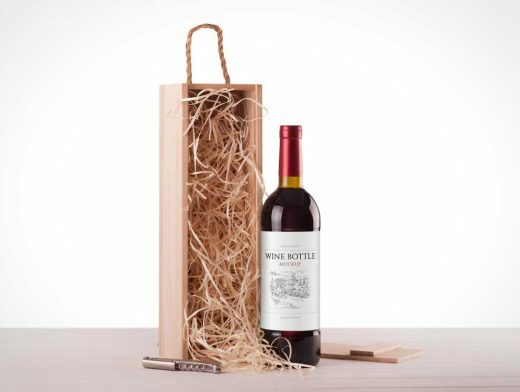 Here you can download absolutely qualitative Free mockup Wine Bottle with smart objects. Easily replace the elements, display your branding, create and develop promotional campaigns and showcase your design. Neat wine accessories and elegant arrangement of objects can be helpful for making the necessary presentation.